Government partners offer an array of local, provincial and national programs that provide financial assistance like tax credits, tax incentives, training assistance, R&D assistance, loan guarantees and wage subsidies. Governments are also active partners through investment in industry-applied research capacity. No matter where the savings come from—or what name they’re given—Winnipeg is focused on ensuring the global competitiveness of its business base. Once all factors applicable to your company are considered, you’ll find Winnipeg makes a persuasive case for expansion and investment. Below is a list of some of the most compelling government-administered programs now available to assist local businesses. Other sector-specific incentive programs are offered as well, and EDW's business development experts know them all. Contact our YES! Winnipeg team so we can help you navigate the programs most applicable to your industry. for companies located here. Whether grants, loans or other assistance, being located in Winnipeg can benefit your business in a big way. 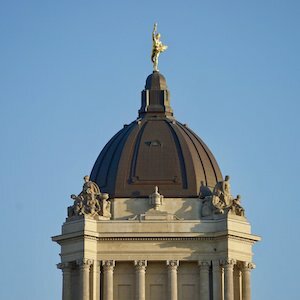 The Manitoba government has a list of its business and economic development programs on its Growth, Enterprise and Trade site. Innovation Canada has an interactive list of federal, provincial and local programs available to companies based on their geographic location and industry. Companies interested in what incentives are available in Winnipeg can find out more information here. toward R&D help Manitoba-based businesses succeed. Let EDW help you navigate the programs most relevant to your industry. Scientific Research & Experimental Development (SR+ED): A federal tax incentive program that encourages Canadian businesses to conduct R&D in Canada. This program provides tax credits on qualified SR&ED expenditures, at a 35% rate on the first $3 million annual expenditures. Manitoba Research & Development Tax Credit: A top-up to the federal SR+ED Program, which provides a 20 per cent tax credit applied against Manitoba corporate income tax payable. Industrial Research Assistance Program (NRC – IRAP): A program through Canada’s National Research Council, NRC-IRAP provides support to small and medium-sized enterprises in Canada in the development and commercialization of technologies. NRC-IRAP will also offer free and personalized concierge services, facilitating access to government programs, services and funding that support innovation. Natural Sciences and Engineering Research Council of Canada (NSERC): Assists and provides financial support to universities, colleges and other organizations to encourage academic-industrial collaboration. University of Manitoba Technology Transfer Office (TTO): A program to bridge university research and intellectual property protection with industry partners, the TTO makes university research available to partners with no financial commitment until the company itself starts making money from the technology. Red River College (RRC) Research Partnerships & Innovation: A program through Manitoba’s largest college provides industry workforce training and financial benefits to both industry and RRC students. Mitacs: A federal not-for-profit organization dedicated to building partnerships between academia and industry. The program supports research-based innovation by helping researchers partner with industry to commercialize their innovation. The City of Winnipeg and the Government of Manitoba are committed to enhancing an already competitive and balanced corporate tax environment. Winnipeg’s strong economic performance and the Manitoba government’s commitment to economic growth have resulted in a favourable business and personal tax environment for the past decade. The basic provincial corporation income tax rate of 12 per cent started in 2010, with reductions planned for the future. The accelerated capital cost allowance (CCA) for machinery and equipment provides manufacturers with a 50 per cent rate on a declining-balance basis for eligible assets acquired after 2015 and before 2026. There is no corporation capital tax for business in Manitoba on the first $10 million taxable capital paid (except banks, trust and loan corporations and Crown corporations). Manitoba’s small business income tax is 0 per cent. As well, the small business tax limit has been raised to $450,000 for 2017.